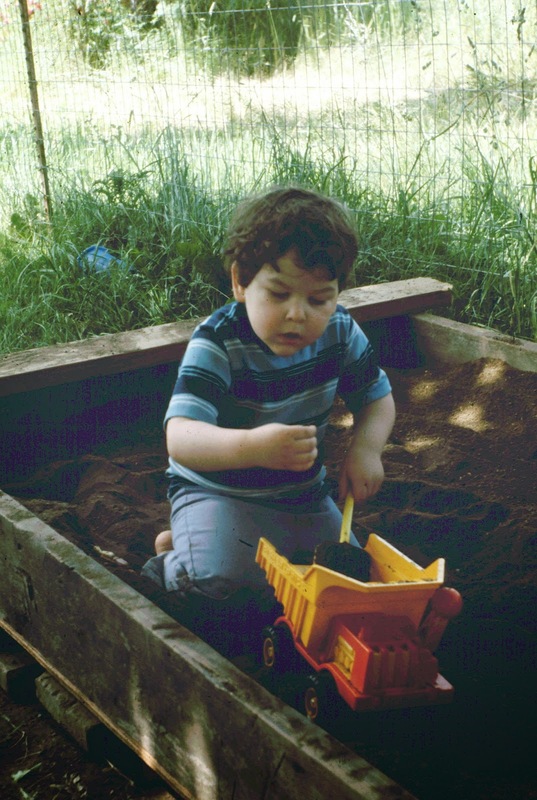 David in the sandbox, Philomath, c. 1977. We always had a sandbox. Dad was a maker. He built marvelous things from scrap lumber. I may be wrong about this--my memories of life in New Hampshire (1964-69) are spotty, and those from California (1961-64) pretty much nonexistent--but I know that starting in Filer, Idaho, as soon as we arrived in a new home, Dad slapped together a sandbox for us. If there was a tall tree with a limb that could bear his weight, he'd hang a swing from it, the seat either a board or a piece of tire rubber. It had to hold his weight for two reasons: to be sure it was safe enough for us to use, and because he enjoyed an occasional swing, himself. 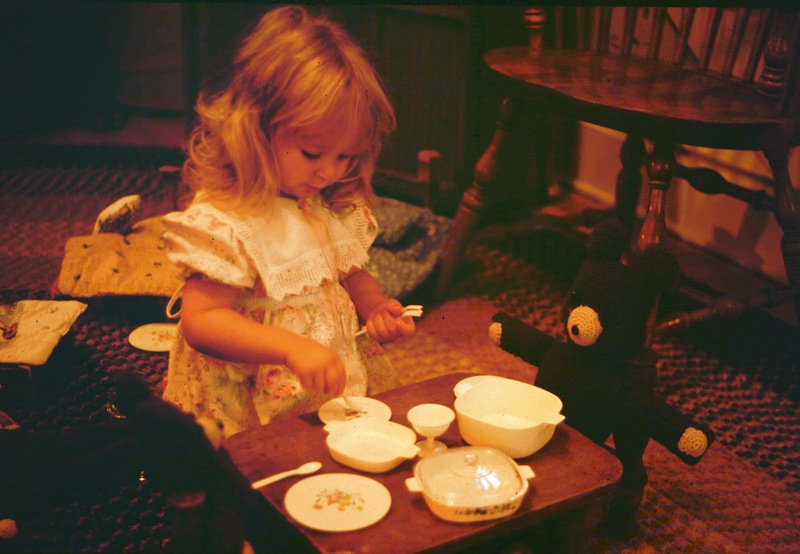 The bears and Goldilocks were made by our mother, herself a toymaker par excellence, creating stuffed animals, busy books, and more for children, grandchildren, and, I expect in the future, great-grandchildren. The baby bear's chair came apart, of course (naughty Goldilocks broke it when she sat in it), and the pieces of the playset nested ingeniously for storage. As gifted as he was at creating things, he was even more ingenious at repairs. I learned to drive on a 1968 Ford Fairlane station wagon with a jury-rigged transmission. The column-mounted shifter had given out soon after he purchased the car, in 1972. Rather than pay to have a mechanic repair it, Dad punched holes in the floorboard and rigged two levers that, when pushed and pulled in just the right ways, made all four gears (three forward plus one reverse) accessible. Both gears also had a neutral position. Shifting was never easy, but once I mastered it, I knew there wasn't a manual transmission in the world I couldn't learn to drive. In December 1984, while driving between LaGrande and Halsey in a snowstorm, I lost control of my Celica on I-84, and collided with the traffic divider. I managed to get the car home with just one headlight. Dad set to work immediately doing all the bodywork himself, straightening the frame with brute force, patching together a replacement headlight assembly from wrecking yard parts, and, after buying a new fender from a parts dealer, matching the paint and reassembling the front of the car. It never quite looked right--Dad didn't have a polisher, and hadn't purchased quite enough paint to get the new part as shiny as the rest of the car--but the car drove perfectly for another seven years, none the worse for the crash. I could tell many other stories of Dad's genius at building and repairing things. He taught me to do many of these things myself: mending a broken curb, replacing a window pane, soldering electrical connections, and more. I never quite got the shop bug from him, but I did engage in my own jury-rigging over the years, creating my own metal brace for a futon frame that came apart the day I bought it (that'll teach me to move large furniture without any assistance), designing and building a sandbox for my own children, and a few other projects I did without instructions. For the most part, though, I've stuck to crafts that came in kits: models, a dollhouse and furnishings, many a ready-to-assemble desk or entertainment center. 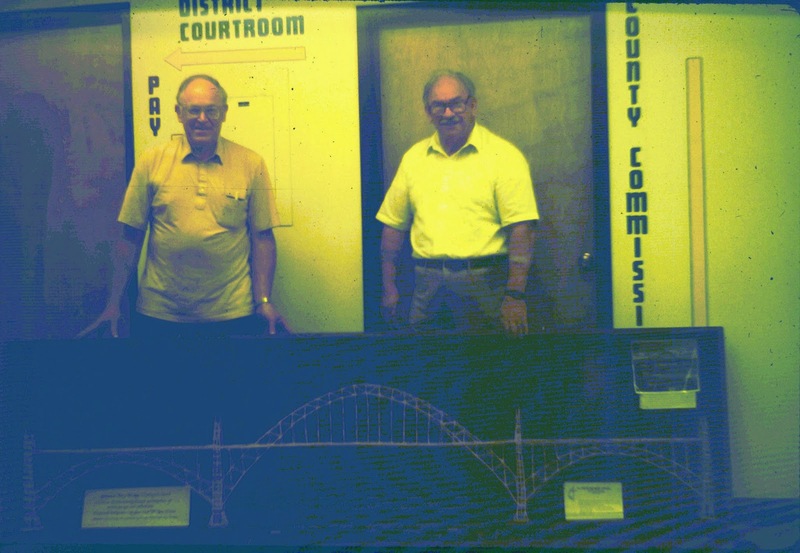 The impetus for many of Dad's projects was thrift. Raising a large family on a pastor's minimum salary, he just couldn't afford to buy new, or even to have someone else repair something that had broken down. He also had a conservationist bent: he hated to throw things away. Somehow, he reasoned, he could make that appliance or clock work again, if he just took it apart and studied it closely enough with the macro-vision his extreme nearsightedness gave him. This also made him something of a pack rat: even if a device was clearly beyond repair, its parts might someday find a place in some other object, or something new he built from those parts. Thus my old student desk supplied the lumber for two rocking doll cradles, gifts for granddaughters Sarah and Melissa. Later in life, he began shopping garage and yard sales, picking up odd bits of junk in which he saw potential, even if he had no idea what they might fit into at the time of the purchase. When, a few years ago, I cleaned his shop, I disposed of many such bits and pieces; but I was also struck by how many jars of nails and screws, salvaged from who knows where, were strewn throughout the room. Organizing the whole mess took days. Dad's greatest project was the House of An, the home his mother purchased in 1946 and lived in until her death in 1988, and which he and Mom moved into at retirement in 1990. Working with my youngest brothers, Dad renovated the house from basement to attic. There is a rough-hewn quality to some of that work--as with the fender on my Celica, Dad's big projects usually lacked polish--but when one considers how much went into the house, it's amazing what he accomplished without relying on contractors. Once he'd finished the house, my father rested from his labors. 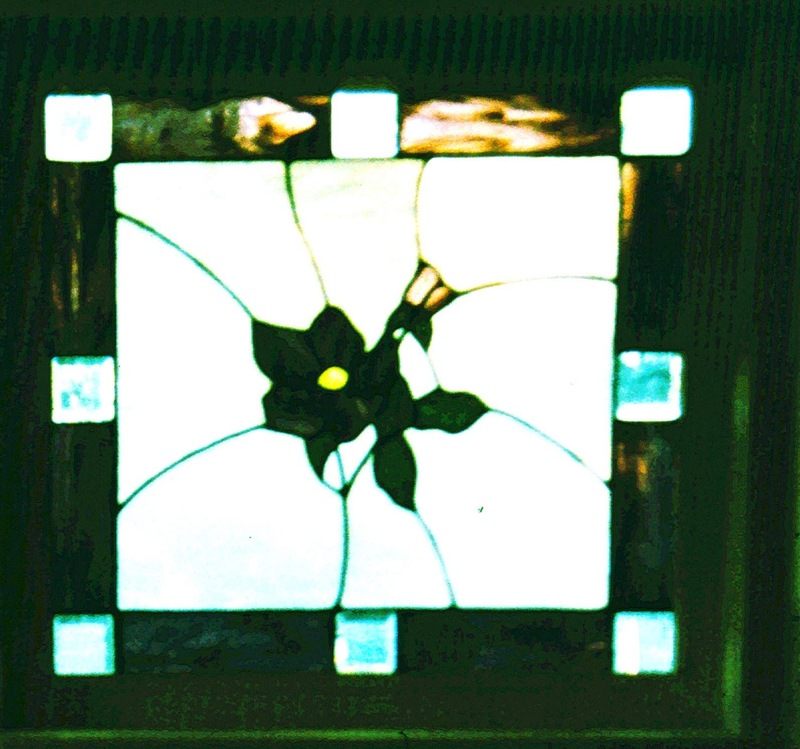 Subsequent projects were on a smaller scale: toys, stained glass, knick knacks. Ultimately, failing health made it impossible for him putter in his shop, even sitting on a stool, and he spent more and more time in the house. He did manage one more toothpick project--a lovely covered bridge model with better detail work than any of his previous pieces--and then that, too, ended. The greatest gift he gave me was the ability to be resourceful. The man could make anything out of absolutely nothing. When my cousins and I were little, he would build the most beautiful toys for us. Somewhere, probably in the attic of the McMinnville house, is the cradle he built for the dolls my grandmother sewed for me. If a toy broke, he would come up with an inventive way to fix it, and when I broke, he would quietly piece me back together.